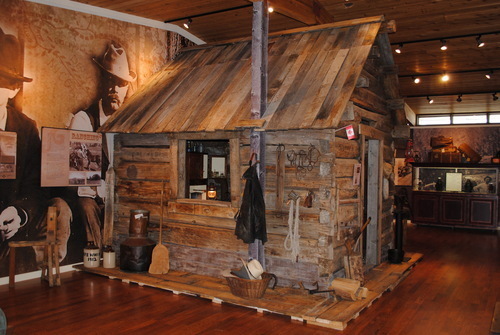 â�¢an 1880â��s cabin which housed John Fall Allisonâ��s daughter Lily, her husband John Norman & their 6 children. 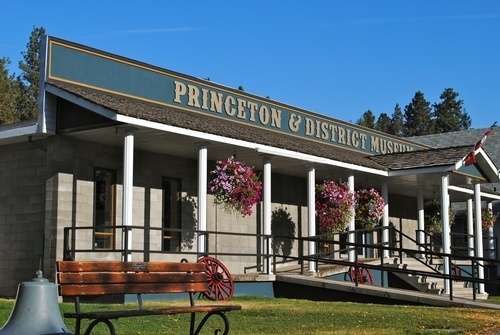 Following three years of discussions and planning, the Princeton Museum has had a complete overhaul. The building that previously housed the museum and library is now dedicated entirely to the museum. With a brand new look and double the square footage, this small town museum is now a small world class facility that is not to be missed. Local contracting firm â��Fred and Companyâ�� have done a high quality renovation that has brought this vintage building into the 21st century with the use of high quality materials and an open concept architectural plan. The museum society enlisted the help of design team Richard Simpson and Robin Lowe, who have a combined 30 years experience in film and television set design, and in two short months, created a space that is nothing short of spectacular. With an emphasis on honouring Princetonâ��s past, while utilizing modern materials and design concepts, this space is barely recognizable and is sure to put Princeton on the map as a community with an interactive, educational and exciting facility for locals and visitors.